Have you heard about the famous beer bike? Expect spectacular views of Prague, funny activities and unlimited beer consumption.Want to try? Order your own Prague beer bike experience. Feel like doing something crazy? How about wearing an inflated plastic ball and playing bubble football?Want to try? 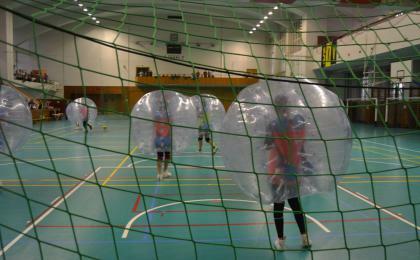 Order your own bodyzorbing and bubble football experience in Prague. Learn to pilot a fighter jet under the guidance of real military instructors and maybe next time you´ll try the real thing. Want to try? 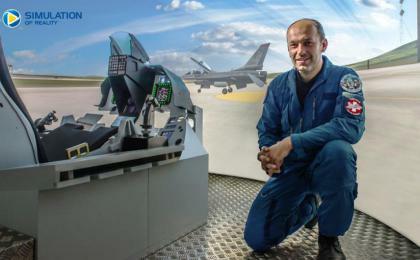 Order your own F-16 flight simulator experience. 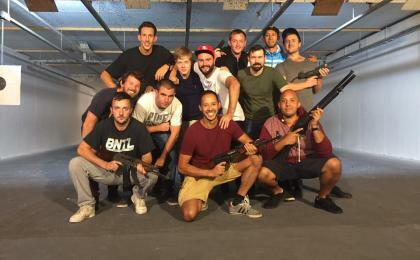 Experience a combat operation simulation with professional instructors. Will you save the day as a helicopter pilot?Want to try? Order your own helicopter flight simulator experience. Prague is the Mecca of escape games of all kind - escape from a bank vault, find the murderer during a crime inspired game or go for games directly associated with Prague´s history and historical monuments. Bodyzorbing is the funniest universal team sport out there. Wrap yourself up in the inflated plastic balls to roll in and play bubble football with your friends, just jump around and bump into each other or roll around on the ground like crazy. Bodyzorbing is a synonym for unlimited fun if you´re looking for entertainment, a little adrenaline and relaxation. Get a group of friends and come to try zorbing - you can enjoy it all year round. A few years ago, some Czech students got an unconventional idea - why not help the homeless earn some money and give tourists a sightseeing tour from a completely different point of view at the same time? Now you canexplore Prague from the scope of a homeless tour guide giving you insider info about everyday life on the street..
Czechs also love simulators of all kind which gives you a unique opportunity to train on the same equipment that professional pilots do. Try piloting a F-16 fighter, a Kamov helicopter or the huge Boeing 737 with your pals sitting in the “business class” right behind you. The Vltava river is the centre of various recreational activities for both tourist and the locals. When you combine it with new water adrenaline inventions such as the hoverboard, flyboard or jetpack, you canfly above the water surface and feel like a superhero for a moment. Those who prefer something less physically demanding might go for a paddle boat or rowing boat ride with stunning views of the Hradčany panorama. You don´t have to wear a fancy hat or hook up with royalty to enjoy horse or greyhound races in the Czech Republic. Just take the train to Velká Chuchle or a tram to Motoland prepare some money to bet on your front-runner. And there is much more to experience during your stay in Prague! Let ActiveCzech.com be your guide.